Old Farmhouse Chutney - a delicious accompaniment to meats, fish & curried dishes. Mix into rice or couscous. 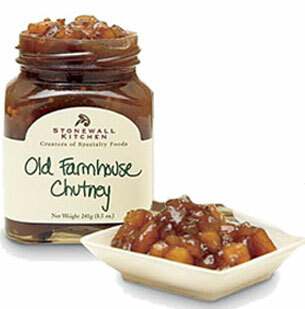 Serve Stonewall Kitchen Old Farmhouse Chutney with cheeses or use as a sandwich spread.